Toulouse is a big city and, like all big cities, it requires time to visit to discover its charms. Unfortunately, as cities aren’t friendly to motorhomes, we spent very little time in the centre. However, one big attraction I was interested in visiting was outside the centre and easily accessed via motorhome: Airbus. As someone who is interested in technology and history, the Airbus facilities and the Aeroscopia Museum are like Saturday morning cartoons: irresistible. 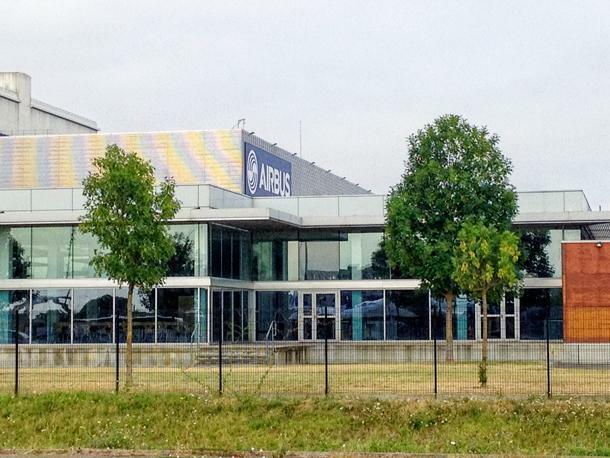 When I learned we would be in Toulouse, a visit to Airbus was a definite part of my plan (and, if you don’t know me, I don’t usually make a lot of plans). I am not particularly knowledgeable about airplanes, or aviation in general, but I am fascinated by the technology used in big flying metal tubes. Despite understanding the physics, it still amazes me something as large as the Airbus A380 can actually fly. The Airbus facility at the Toulouse-Blagnac airport is massive. Looking at a map of the airport, Airbus occupies 75%+ of the airport facilities. Here, Airbus assembles all their commercial planes, such as the A320, A340, A350, and, the double-decker A380. However, you can’t just walk into Airbus and ask for a tour. Tours are booked through another company, Manatour, under the brand “Let’s Visit Airbus.” They offer two tours: the Panoramic Tour and the A380 Discovery Tour. In the A380 Discovery Tour, you are taken, by bus, to the hangars, where you are invited to a spectator platform overlooking the A380 assembly line. There you learn about the building, assembly, and testing process. The Panoramic Tour is a bus tour of the whole Toulouse facility, but you don’t get to go into the hangars to see the planes being built. I opted for the A3800 Discovery Tour because I wanted to see how the plane was assembled. 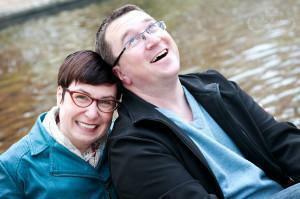 I planned to visit on a Friday morning, before meeting Alison upon her return from French Guiana (Guyane). I tried their online registration service to book my tickets, but discovered you must book at least two business days in advance, if you are not an EU citizen (they say two days, but the first option provided in their online form was three business days later). The earliest I could visit, according to their system, was Saturday, which was not going to work. So I reached out to their help desk via email. As I have a Belgian residence permit I thought perhaps my residency would be sufficient. The tour company’s help desk confirmed it should be fine and booked me in for an English tour on Friday morning. Whew! Bonus points for good customer service! 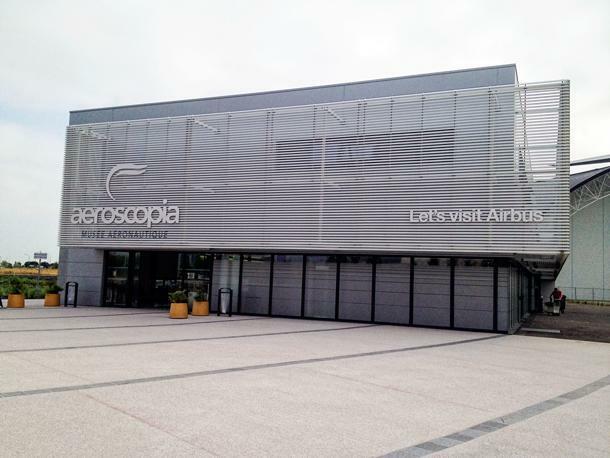 On Friday morning, I made my way across Toulouse to the Toulouse-Blagnac Airport and the Aeroscopia Musuem, where the tours begin. 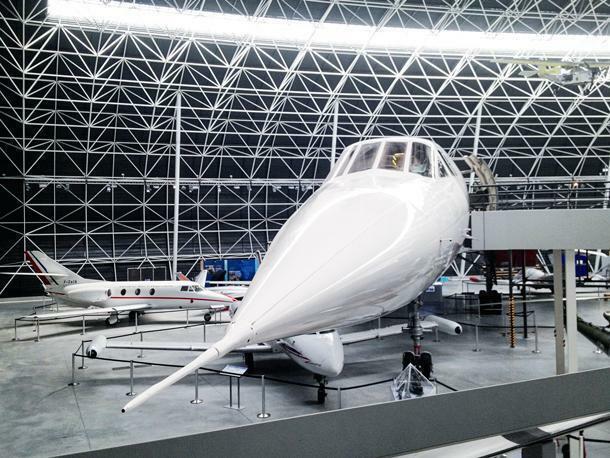 The Aeroscopia Museum is brand new, only having opened in January 2015. 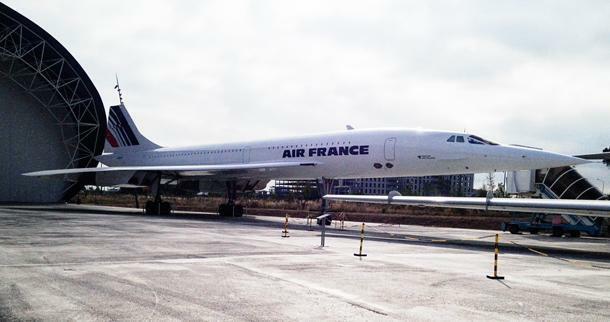 The museum is housed in a large hangar, near the Airbus A380 facilities, and features 25+ restored planes, including two examples of the famous super-sonic jet, Concorde. The museum offers a discounted ticket in combination with the Airbus tours, so I decided to visit the museum after my tour. The A380 Discovery Tour lasts an hour and a half, and covers the history of designing the A380, in the mid-90s, all the way up to the first flight. The most interesting part of the tour is the visit to the assembly line where you can overlook three (out of four) planes in the process of being tested. Unfortunately photos were not allowed, but it is a fascinating view. The three planes you can see span over 250m. There is scaffolding all around with various people popping in and out of the planes. I spent a lot of time just looking at how all the scaffolding would roll out of the way when a plane was moved out of the hangar. The building itself was a fascinating jigsaw puzzle. It is unlikely you will see anything being assembled in the hangar, because the actual assembly of the plane only takes seven working days. Just seven days! This is because the planes are built in sections elsewhere (the UK, Spain, Germany, and France) and then assembled in Toulouse. For example, the UK manufactures the wings, the Germans and French manufacture sections of the body, and the Spanish manufacture the landing gear. I am not sure why each country has been selected for their particular pieces, but when it was described during the tour, it seemed like an odd distribution of tasks. The act of getting all the A380 sections to Toulouse is, in itself, a huge challenge, because most sections are too big to be flown even in Airbus’ own special heavy lifter, the Beluga (an A300-600T, if you want to be specific). The sections must travel to Toulouse via boat, barge, and finally road, before they can be assembled. The road transport covers 240km and takes 3 nights. When a new plane arrives to be assembled, about once a month, roads are closed to accommodate this exceptional convoy. It would be something to see this rolling down the road at 20-30km per hour! Once all the sections have arrived, the plane is assembled, in seven working days, using two shifts per day. Once assembled, the plane’s 500km of cabling, fuel tanks, flight systems, flaps, and other components are tested and the engines are mounted. Once the indoor tests are complete, the plane moves outside for additional testing including engine testing. The final stage is to send the plane to Hamburg for painting and interior furnishings. Overall, it is quite a feat of organization to build one of these airplanes. All around the airport, Airbus is building dozens of planes at the same time. It is a monstrously big enterprise. After the tour ended, I popped into the Aeroscopia Museum. My primary draw was the Concorde parked out front. I’d never seen a Concorde up close so I really wanted to check it out. The museum is well worth the time to visit, especially if you are interested in aviation. The first section provides an overview of aviation history and allowed me to brush up on some of the finer points of jet, ramjet, turbo-jet, and turbo-prop technologies. I am a geek after all! I took a spin through the Concorde (there are actually two at the museum now) and was amazed by all the dials and switches in the cockpit. I was also surprised at how big it looks outside but how narrow the cabin is inside. The seats looked comfortable, but they weren’t especially roomy. 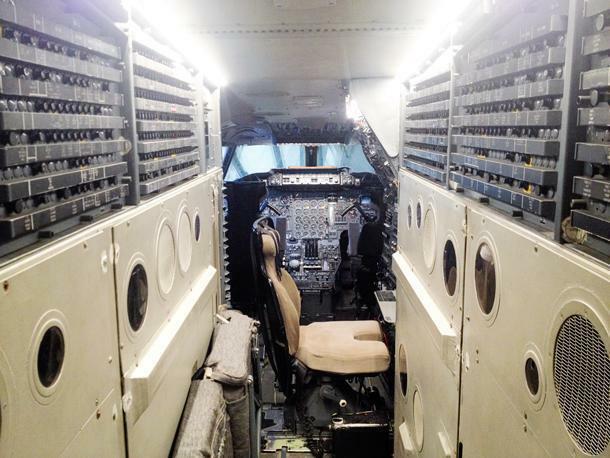 I could have used a bit more explanation about the Concorde, because the first part of the plane seemed to be filled with test equipment. I am not sure if it was normal equipment for the plane or if it was just a way for the museum to show how the planes were tested. Perhaps, the audio guide provides more context. 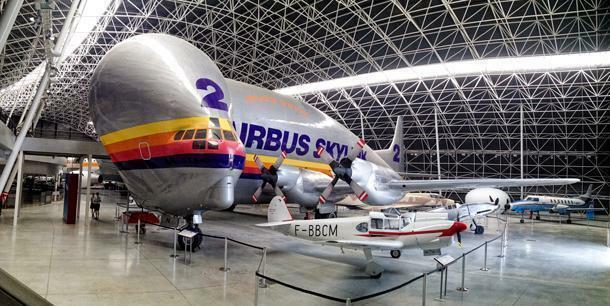 The museum also houses an oversized turbo-prop plane, the Super Guppy. The predecessor to the Beluga, the Super Guppy’s nose swung open on a big hinge to allow large, heavy equipment to be transported. When the equipment started to get heavier and bigger, Airbus developed the Beluga. It was fascinating to be able to step inside this plane and feel just how big it is. Along with the Concorde and the Super Guppy there is an Airbus A300B, decked out as a business jet, complete with bedroom suite and meeting room. Below these behemoths are numerous smaller planes, such as a German Messerschmitt Bf-109 from the Second World War, a Jaguar, a Starfighter, a Mirage, a Gazelle helicopter, and many more. Each plane is described in English and French, including the plane’s history and how it came to be in the museum’s collection. The museum has more planes, unrestored, in another space down the street. I didn’t have a chance to visit that part of the collection, but, passing it on the bus, it looked like it would be worth walking through. In all, I spent about 3 hours at Airbus and the Aeroscopia Museum, which I think is an adequate amount of time. If you had a bit more time to visit the outdoor section of unrestored planes, it would be worth the time. The guided tour plus the museum visit cost me €23 which wasn’t outrageous considering the quality of the tour and the museum. 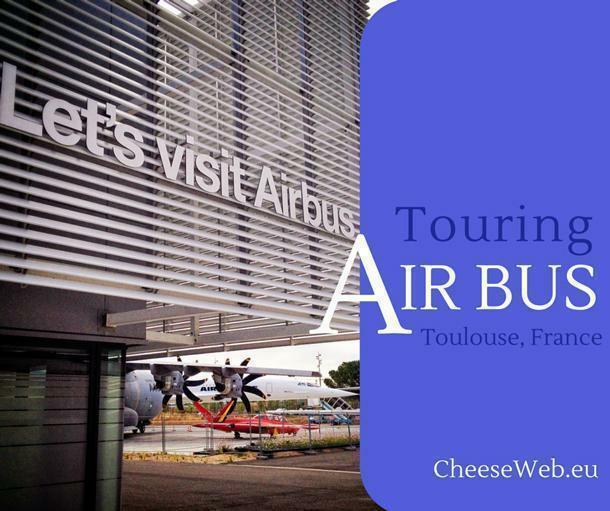 Airbus tours for individuals are offered in French and English, at specific times, and must be booked in advance. Group tours are also offered in German, Spanish, Italian, and Mandarin. The museum also offers guided tours in English, French, and Spanish for an additional charge. 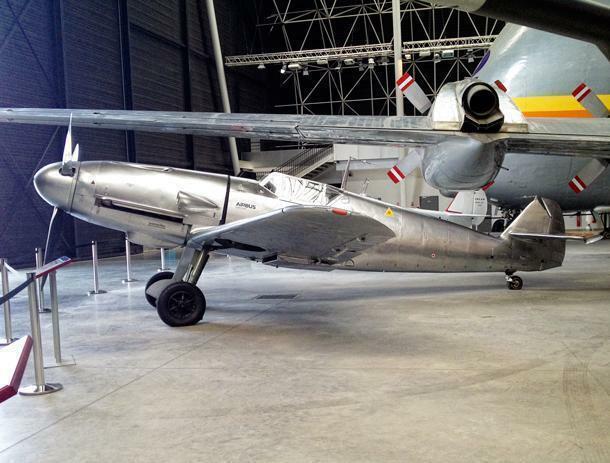 Have you visited an aviation museum you really liked? I’d appreciate knowing what other museums are worth visiting. Please share them in the comments.